We understand that plugging church members into the right groups can be difficult and cumbersome, especially for large churches. We try to simplify this process by providing an easy-to-use search interface for your church members. 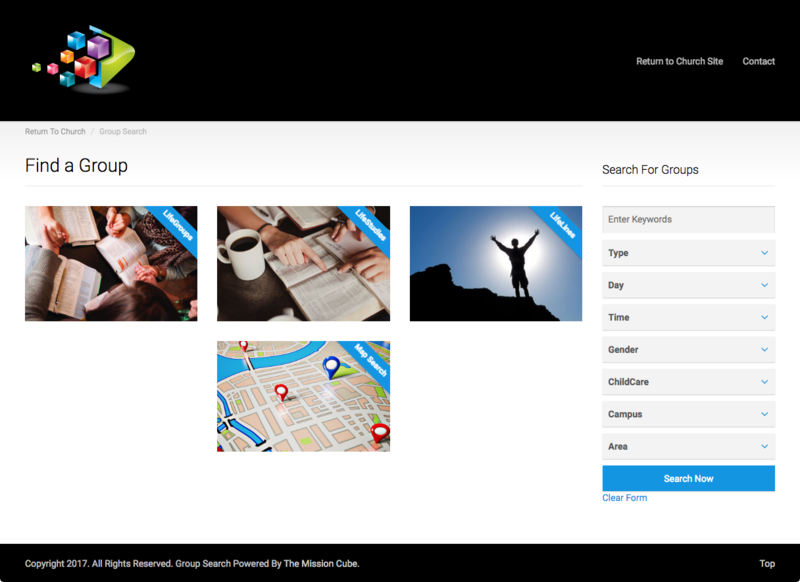 GroupSearch was specifically built with Church Community Builder in mind. If you are using CCB, Group Search was built to tie directly into your API interface. All that is needed is an API Username and Password that can be setup in CCB. 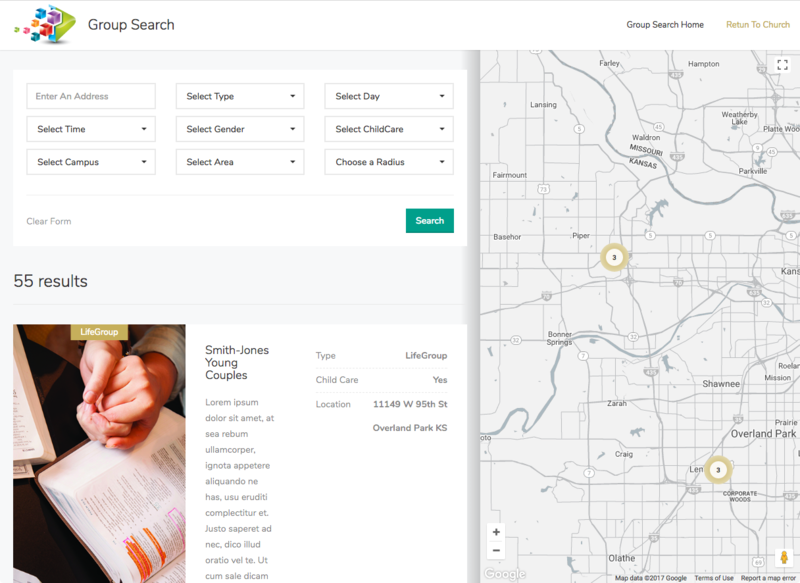 Even if you aren't using CCB, Group Search can be used by our easy-to-use administrative interface. You can create admin user accounts to maintain the groups for as many users as you like. These features apply to every plan - regardless of price. 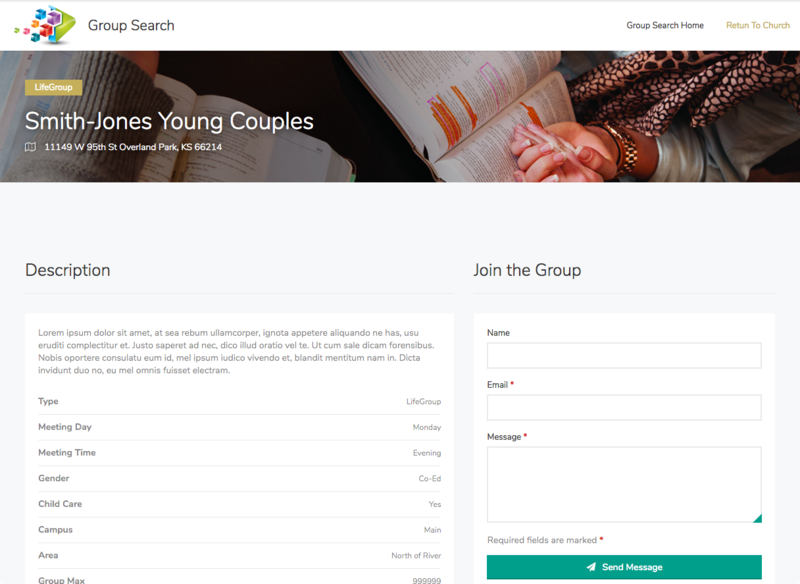 Simple interface to allow church members to find a group that fits them. Easy low cost turn-key option that will save your church both money and time. Customize the colors and logo for each template. Plus choose the template design that works best for your church. Ability to filter by the different group types. We will help you get started to make sure everything is setup properly. 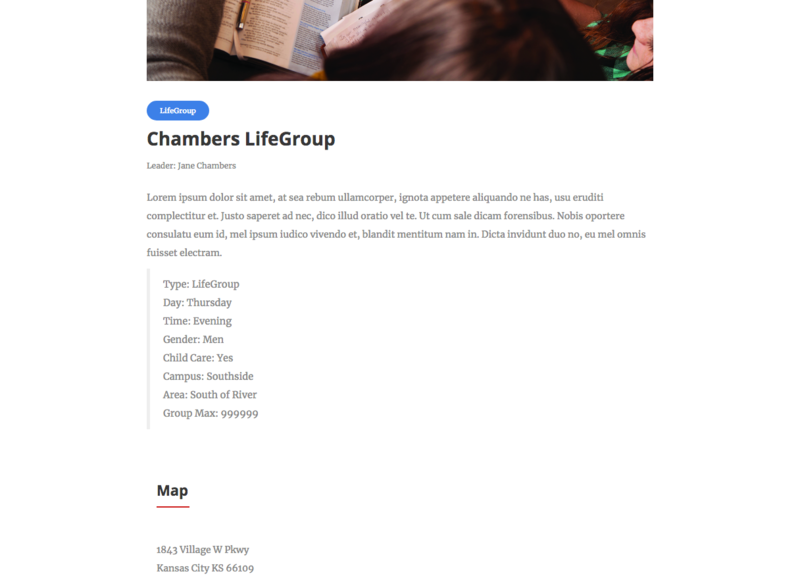 "Join Group" workflow will send an email to a staff member of the church that you select. These features come with the advanced plans. Ability to search and filter searches AND search by geo-location via Google Maps. 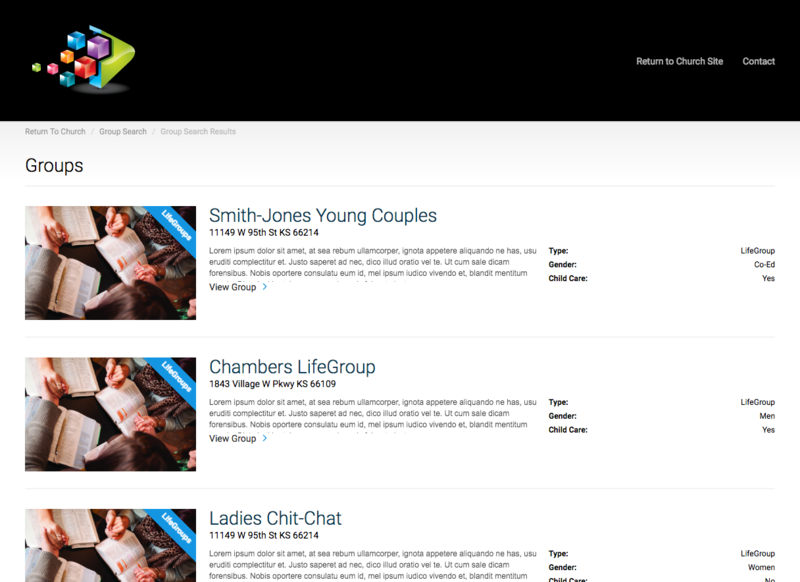 Fully integrated with Community Church Builder's API. Choose from a larger variety of templates with each upgraded plan. 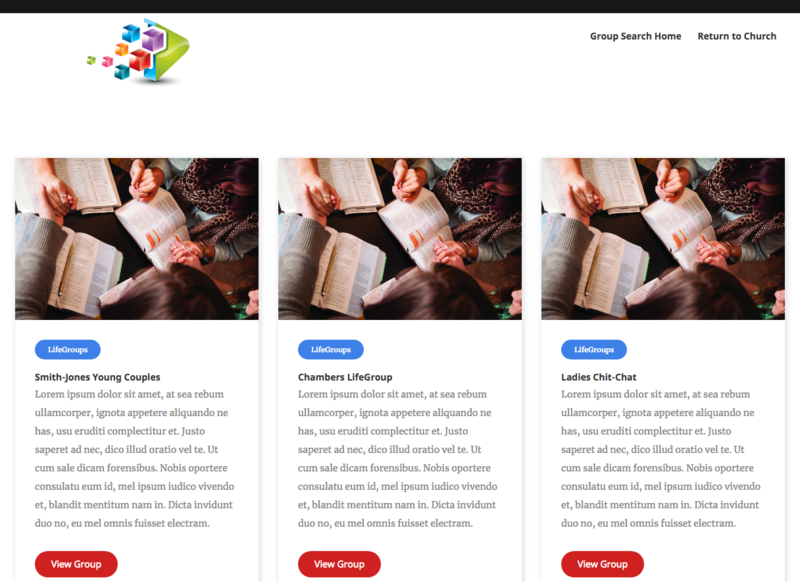 More ways to customize and make the Group Search feel like your website. Ability to choose "Join Group" workflow from sending emails to staff or group leaders - or even a fully automated integration directly into CCB. SSL (Secured Server) is automacially setup for extra security for your users.